UFC 3 update 1.06 is now rolling out on PlayStation 4 and Xbox One. The new UFC 3 patch 1.06 has added fixes for the several issues that popped up with the recently released update, including the head health regen bug, game client bugs, and UI bugs. In addition, UFC 3 version 1.06 update also includes various stability and performance improvements. Check out full details below. Recently, a big update was released with faster retreating evasive movement option as well as new AI fighter customizations and applied existing customizations to numerous templated fighters. Curtis Blaydes – Wrestlers who make the move to MMA have a great foundation to build their careers on, and Curtis “Razor” Blaydes is no exception. In 2012, Blaydes won the NJCAA National Championship while attending Harper College as a Heavyweight wrestler, proof that he was more than ready for a run at the UFC. Blaydes would compile a 5-0 Win/Loss record on the pro circuit before he received an offer to make his UFC debut against the powerful Francis Ngannou, a result that would not go Blaydes’ way. 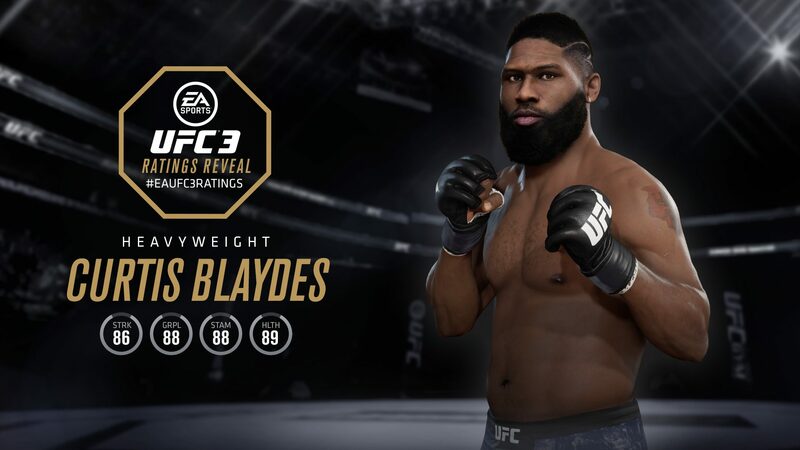 Despite this difficult first fight, Blaydes hasn’t suffered a loss in any of his past five UFC fights, most notably his recent victory over knockout artist Mark Hunt. Blaydes is now preparing for a June 9 bout with Heavyweight contender Alistair Overeem at UFC 225 in Chicago, Illinois, Blaydes’ home state. Ketlen Vieira – As a black belt in both Jiu-Jitsu and Judo, Ketlen Vieira has been training her grappling skills from a very young age. A former Brazilian national wrestling champion, Vieira is also capable of stopping her opponents with strikes, having finished two fights by way of TKO. It should come as no surprise that her undefeated 10-0 record is largely made up of submission and decision victories, an indication of Vieira’s willingness to outlast her adversaries with sheer pressure. Vieira’s most recent victory was a perfect example of this kind of determination, as she battled for a split-decision win over Cat Zingano. Right now, Vieira is one of the biggest threats in the Women’s Bantamweight division. Added new single and double leg cage entries that play out any time you attempt a takedown when your opponent’s back is within two feet of the cage. Locomotion speed tuning to make cage cutting more effective. UFC 3 patch 1.06 has added a fix for the head health regen bug. UFC 3 version 1.06 added various stability and performance improvements. Make chin loss on consecutive health events cap out at the chin loss for the most severe health event in the chain. Added Gameplay Sliders to Event Mode. UFC 3 1.06 added 18 new signature taunt animations. Added the ability for the AI to use grapple fakes depending on difficulty. UFC 3 update 1.06 add extra stamina penalty to escapes from back mount flat. Slightly slow down single collar break speed. Slow down sub transition from cage single/double leg to over/under. Made the GA gained from blocking a strike while grappling expire after 1.5 seconds instead of being permanent. Add new undeniable takedown animations on wiffed strikes, evaded strikes and leg kicks landed to the outside of the lead leg. UFC 3 update 1.06 increased damage and increased speed for blocked strikes in stacked guard. Lower the stamina tax when a strike you throw is evaded. Widen the angle tolerance on circling vulnerability and stopping power against a round strike to the same side. Reduced the impact of stamina ratings at the extreme high end and low ends. Reduced stamina drain in back mount flat postured up and mount body lock positions. Made the mighty wizbar and the kimura from SUB back clinch two stage submissions. Fix bug which was causing delayed grapple cancel animations from playing. Fix bug which was causing delayed grapple cancel animations from playing (ie fixed PS4 fakes). Increase baseline long term health loss per strike while reducing variability of long term health loss due to vulnerability and stamina. Add double under slam finishes to single/double leg cage positions giving players two directional options to bring the fight to the ground. UFC 3 1.06 added a positive taunt for all you online guys. LB/L1 modifier on any taunt direction. Add the ability to maintain full range on forward-moving combos by delaying strike input by 1/4 second to allow your fighter to reset their feet. UFC 3 version 1.06 added a new “muscle modifier” while grappling. By pressing R1/RB you will speed up certain transitions at the cost of more stamina. Add the concept of range and speed reduction on forward-moving combos after the second strike in a combo or when switching between body and head mid-combo. Slow down head health regen on the ground to make GnP more threatening. 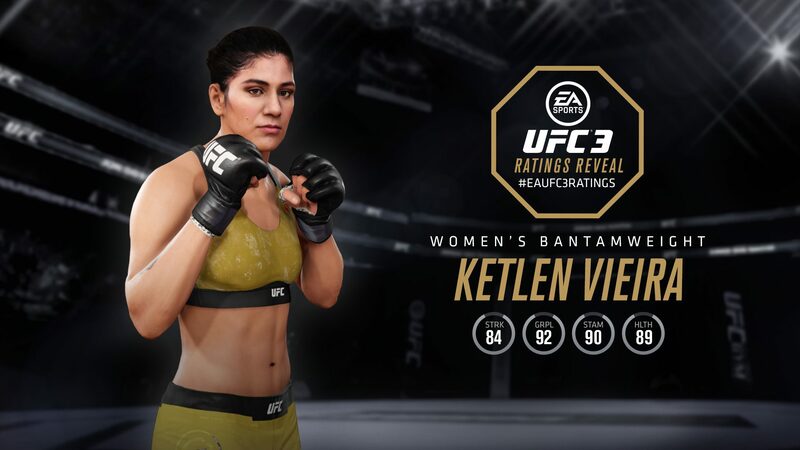 The article is now updated with the official UFC 3 1.06 update patch notes. Check your game update and download the latest UFC 3 update 1.06.